Episode #56: A Swimming Super Special & Much More! This August 20, 2009 free audio episode features the latest research on: whether heart rate monitors are actually accurate when predicting calorie burn, listener Q&A's about yeast infections in the gut, naturally fighting your age-related decrease in metabolism, whey protein allergies, a high heart rate during exercise, salt cravings, gymsticks and low back pain, and finally a featured topic with a double-interview about swimming nutrition and swimming form. -And many other tips, tricks and open water swim secrets! After interviewing John, we move on to a visit with Paul, from Swim Smooth. Paul is a swim and triathlon coach based in Perth, Western Australia, and for the past several years has been developing a unique and incredibly helpful visualization tool to allow swimmers to see what aspects of the freestyle stroke they need to work on, and for coaches to be able to communicate this easily and effectively with their swimmers. Paul introduces us to Mr. Smooth, and Paul, John and I talk about exactly what Mr. Smooth is and how he can make you a better swimmer and swim coach. Swimmers can download the free interactive application by visiting http://www.swimsmooth.com/console.php , and a premium version for enthusiasts and coaches with even more features is available at http://www.swimsmooth.com/proconsole.html . 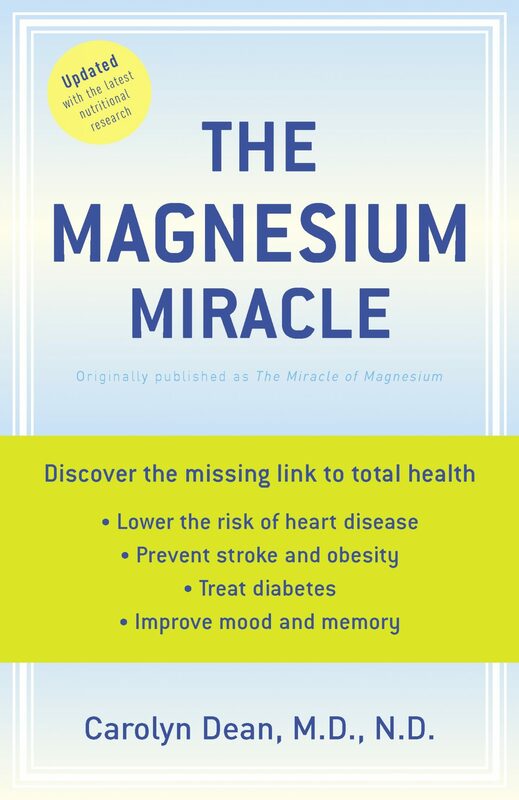 In my response to Christine, I mention Oil of Oregano, and a fantastic book (and a must-read, in my opinion) by Dr. Carolyn Dean: “The Magnesium Miracle”. In addition to implementing my suggestions in the podcast, go to http://www.100waystoboostyourmetabolism.com! In my response to George, I mention my allergy-free meal plan and exercise book, Shape21, which can be found by clicking here. In my response to both Kathryn and Eric, I mention what I have found to be a reliable source of magnesium chloride: Magnetic Clay Ancient Minerals Ultra Pure Magnesium Oil. Click here to order your Gymstick today with FREE shipping, using discount code BGSTICK. What do you think of this comment? Do you agree that triathletes are obsessed? Feel free to leave your feedback in a comment of your own! That’s all for this week. Coming soon in future podcasts: Weight Loss & Hypnosis and The Paleo Diet for Athletes. Be sure to leave our podcast a rating in iTunes – just click here to go to our iTunes page and leave feedback! Finally, remember all the time put into producing this podcast for you, and consider donating to our show (we’ll throw in a free T-shirt)! After listening to John Kenny’s high stroke rate per minute (SPM), I realize I have a very poor SPM in comparison. I think my low SPM correlates to my slow IM swim times. My stroke is a stroke-and-glide routine. I am beginning to realize I am losing momentum with each glide resulting in a slow swim, particularly in open water. My question: What would be a good course of action(s) in order to train and development a quicker arm turnover in freestyle swimming? I’ll answer in podcast 72! After reading the comment regarding the obsessed triathlete I was left with mixed emotions. I agree that there are a number of athletes with an obsession to the sport that negatively impacts their life and the lives of those closest to them. But, to put all athletes who take the sport very serious into the “obsessed triathlete” category isn’t fair. Trying to maintain a lifestyle that includes family, work, and friends while training for triathlons is a difficult task. However, thousands of athletes prove it can be done each year. It isn’t a selfish need to race if family members support you on your journey and you take time to support activities they are interested in. Also, triathlon is by no means an individual sport. There are endless amounts of opportunities to join clubs and meet new people. The time you read as you cross the finish line is the only thing that is individual about it, everything leading up to that point can be enjoyed with those around you whether it is family, friends, or teammates. lastly, many triathletes that I have met over the years (obsessed with the sport or not), seem to have very outgoing, vibrant personalities and are very approachable. To generalize that all “obsessed triathletes” are truly boring and dull is probably accounting for a few negative instances the author has had in the past. Obviously there are cases of the obsessed triathlete who turns the sport into a life consuming task that neglects family and friends. however, that is a small percentage when you consider how many athletes take the sport very serious while maintaining a healthy lifestyle outside of the sport. When I first heard the letter from the person who wrote about ‘triathlon being a selfish sport’, I was a little upset with the author. However, after thinking about it more, I agree, but in a somewhat limited or selective way. The tone of the letter sounded like it was written by a spouse or significant other that was / is feeling left out of their partner’s life, feeling that the training and racing was taking them away from the author and the family. I also ‘read into’ the letter a bit of jealousy….but that could just be me and the way I heard it. Training for a triathlon is or can be a time consuming endeavor…and if you are in a relationship, it is important that both people discuss and accept the time commitment required, and come up with a way to work around conflicts or minimize the time conflicts. For example, I have a friend who is at the ‘elite’ level of Ironman Triathlon racing…and he has a small child (about 2 years old or so), works a regular job, and manages to train and make time for his family. He does his first work out before the family is even awake by getting up at 4 AM for his first workout of the day. In the evenings, he plans time for his workout after spending some time with his family…for swims in the summer, the family often goes to the beach with him, he swims for a while, then plays with his children when he finishes. As for triathletes being shallow and self absorbed…that sounds more like a personal issue the author has. When you get a few triathlets together, of course they, like most folks, will talk about something they have in common. A spouse or significant could easily feel left out in that type of setting, but could also make an effort to learn and support her / his mate to be able to participate on some level to eliminate the feeling of being left out of conversations. The same could be said of almost any profession or hobby – if you get a bunch of people together that all do or participate in the same interests (running, hiking, football, Nascar, scrap booking, gardening, bird watching, etc. ), and you are the one in the couple / family who does not participates in the subject hobby or profession, you naturally won’t have too much to say and will not be able to contribute to the conversation and possibly feel left out. Last, as far as triathlon being a solitary, lonely sport – I strongly disagree! I have made many new friends through the sport – riding buddies, running buddies, and swimming buddies. I participate in several group training activities, and my spouse has met and even become friends with my fellow triathletes and their spouses as well. When it comes time for competing, even when we are all racing each other, there is a friendship and support system unlike I have found in the past while participating in traditional group or team sports. We encourage each other, assist each other with issues (training / racing / etc. ), and celebrate each other’s accomplishments, and always include the families as they are a part of the entire experience and are key in each success. So my reply is a bit down the middle. While the spouse that is not participating in triathlons may feel left out, it is the athletes responsibility to his / her family to be sure to have time for them. The decision for one spouse to enter a triathlon (like an Ironman) is a, or ‘should be’ a family decision given the time demands on the athlete for training. It amounts to a time commitment of taking on a part time job…and if one spouse is not ‘on board’ 100%, it will cause stress. Like any good relationship, all decisions that potentially impact the family needs work, clear communication, and acts of selflessness on BOTH peoples parts. Yes, I guess we're all kind of obsessed with this great individual test, however I don't consider triathlon an individual sport. Most people who compete in triathlon tend to have many like-minded friends who also enjoy training together, as well as predictably, talking a lot about it too. I agree triathlon isn't one of the most spectator friendly sports, however it's not as if we race every weekend either, similar to certain team sports which require weekly attendance. My girlfriend understands how important training is to achieving my goals, though is quite disappointed when I'm out the door for a 4-5hr ride at 6:30am. Yes, most of us are obsessed, and yes, most of us can somehow manage to find a way to change a topic to triathlon. When you spend so much time doing something, especially a sport with so many aspects, it's only natural that you will want to talk about it. Obviously, if our relationships are imbalanced (my gf calls my bike my "other gf"), and family time is sacrificed as a result, then surely there's a need to sit down and review how and when the individual trains, and whether it's possible to reduce or reshuffle their training load to keep everyone happy. I once saw a triathlon t-shirt which read, "If your relationship still works….you could be training harder". Yes, time is sacrificed, but I'm sure a fit and healthy mummy and daddy have more energy and quality time to spend with their kids compared to a fat, lazy, tv-watching, fast food eating mummy and daddy. Interesting thought, Jerry. I believe I read somewhere that the skin has the ability to self-regulate its magnesium absorption so that too much is not absorbed. But I am not an expert by any stretch of the imaginiation. I would be interested to hear your opinion on this, too, Ben. Can you take in too much magnesium by using it transdermally? On a similar note, I just wanted to shout out that since I began using transdermal magnesium in the last couple weeks, I have noticed an incredible improvement in my ability to recover after tough workouts. Like you said, Ben, this stuff works! Dietary magnesium does not pose a health risk, however pharmacologic doses of magnesium in supplements can promote adverse effects such as diarrhea and abdominal cramping. Risk of magnesium toxicity increases with kidney failure, when the kidney loses the ability to remove excess magnesium. Very large doses of magnesium-containing laxatives and antacids also have been associated with magnesium toxicity . For example, a case of hypermagnesemia after unsupervised intake of aluminum magnesia oral suspension occurred after a 16 year old girl decided to take the antacid every two hours rather than four times per day, as prescribed. Three days later, she became unresponsive and demonstrated loss of deep tendon reflex . Doctors were unable to determine her exact magnesium intake, but the young lady presented with blood levels of magnesium five times higher than normal . Therefore, it is important for medical professionals to be aware of the use of any magnesium-containing laxatives or antacids. Signs of excess magnesium can be similar to magnesium deficiency and include changes in mental status, nausea, diarrhea, appetite loss, muscle weakness, difficulty breathing, extremely low blood pressure, and irregular heartbeat [5,57-60].